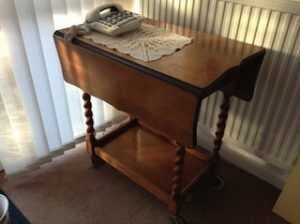 House Clearance Service In Carlton Colwick Gedling Village Mapperley Netherfield Porchester Thorneywood. As well as clearing the usual furniture these small items will also need clearing – A brand new Orla Kiely classic print single duvet cover and pillowcase, A Peter Rabbit by Wedgewood christening breakfast set, A bronze and frosted glass Moroccan style ceiling pendant, An antique copper Jersey jug with cane handle, An AEG BSB 18g 18v 2 speed hammer drill. 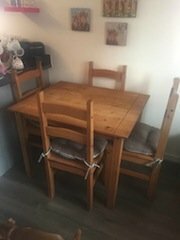 A small mexican pine farmhouse dining table, together with four matching ladder back dining chairs. 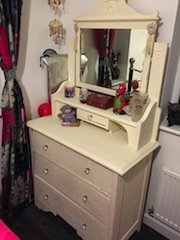 A painted cream solid wood dressing table, having a swing mirror above one small and three large drawers. 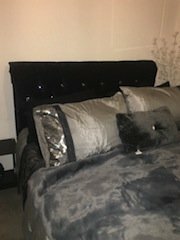 A black crushed velvet upholstered double bed frame with crystal studs, together with a double mattress. 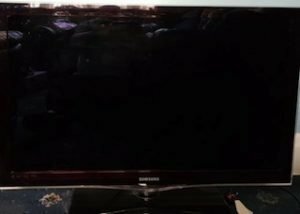 A black Samsung 40 inch flat screen smart television. 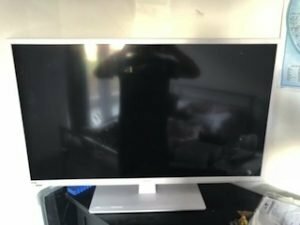 A white Bush 40 inch full HD flat screen television. A white tall standing two door Curry’s Essentials fridge freezer. 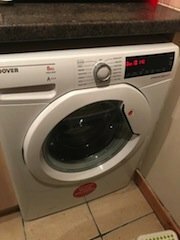 A white Hoover Dynamic 8kg 1400 spin under counter washing machine. 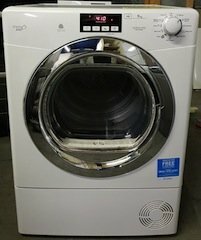 A white and stainless steel Candy 9kg large load under counter condenser tumble dryer. 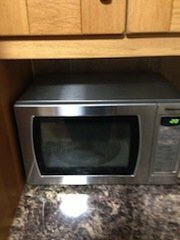 A stainless steel Panasonic NN-E273S 600w microwave oven, with digital display. 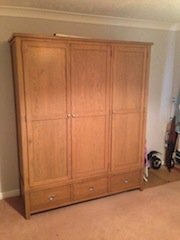 A tall standing solid oak three door triple wardrobe, with three drawers to the base. 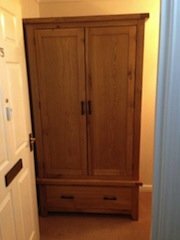 A tall standing solid oak double wardrobe, having a large drawer to the base. 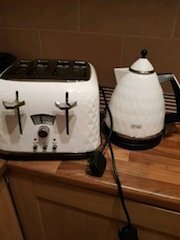 A white DeLonghi diamond effect kettle, together with the matching four slice toaster. 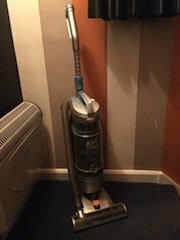 A silver Vax air 3 pets upright bagless vacuum cleaner. 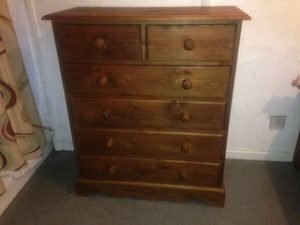 A tall standing solid pine bedroom chest of drawers, having two small over four large drawers. 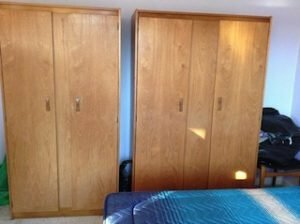 A tall standing Teak triple wardrobe, together with the matching double wardrobe. A small vintage solid wood drop leaf dining table on barley twist legs and castors.